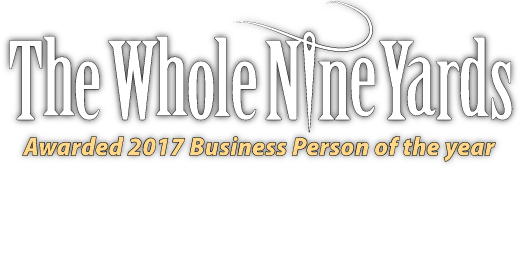 The Whole Nine Yards (TWNY) has been serving Thunder Bay and the the Northwestern Ontario region for over 12 years and getting new clients everyday, while still servicing our regular clients and contracts. Our team of seamstresses are the best in the area and can solve almost any issue. We do alteration/repair and custom made to your spec. On time and accurate is key!